The pro-fox hunt propaganda has never been weaker, and this will help us to keep the ban. As Head of Policy and Research of the League Against Cruel Sports I wanted to write a reply not just answering his questions but also exposing his lies. I am a Zoologist and have been studying hunting for over 10 years, which must make me somehow a bit of an expert on this issue. Here are his key points, and my responses. On the 3rd June 2017, James Barrington, a consultant to the Countryside Alliance, Council of Hunting Associations and the All Party Parliamentary Middle Way Group, wrote an article in the Conservativehome.com website titled 'Why advocates of the Hunting Act are running scared of repeal'. Being essentially the propagandist-in-chief of the pro-hunt lobby, his article is full of misinformation, false logic and errors, which may well be deliberate – well, that is what propaganda is all about, is it not? (It would also be a little less sad if he finally stopped referring to himself as a former Executive Director of the League. Jim, it was 20 odd years ago). But he also asks a series of questions of the anti-hunting side. As Head of Policy and Research of the League Against Cruel Sports I wanted to write a reply not just answering his questions but also exposing his lies. I am a Zoologist and have been studying hunting for over 10 years, which must make me somehow a bit of an expert on this issue. Here are his key points, and my responses. "Why would such a unique method of 'control' such as hunting be banned, other than through ignorance or prejudice?" Because its uniqueness resides in its unprecedented cruelty, the deception that surrounds it, its inefficiency and the damage that it causes to the countryside. We should not forget how much havoc hunts cause to people, land and animals that encounter them. Every year there are multiple reports of trespass, damage, pets being killed, people being intimidated or assaulted, laws being broken, accidents being caused, etc. Hunts cause destruction where they are. That is their uniqueness. It is fairness and knowledge which dictates this judgement and fortunately most people share it now because the hunting lies no longer stand up to scrutiny. British society has grown away from hunting, and this is a good thing. "Ask anyone who supports the Hunting Act what effect this legislation has had on wildlife and you will be hard pushed to get a sensible answer”. I can give a straight sensible and informed answer: after studying the issue in detail and making lots of calculations with available data I estimate that over 100,000 animals have been helped by the Hunting Act (by preventing hunts disturbing them, chasing them or killing them with dogs). Which other legislation enacted in the last 12 years has had a better impact on wildlife? I don't think we could give a more precise direct answer to the question, despite Mr Barrington’s claims that we only answer questions like his with vague ethical positions and unreliable opinion polls. We understand that if you are obsessed with killing animals and a method you were using is now banned, you may easily use another method. But if any such method causes animal suffering they should all be banned, and this is why the League is also trying to ban snares, and put them in the same list of banned methods as poisoning or hunting with dogs. If people are determined to break the law by continuing to kill animals, banning alone may not solve the problem, and education may be needed. I would recommend to Mr Barrington that if he wants to help to solve this problem he could try to persuade his employers about the value of “doing nothing” to allow nature to solve them (see below). I understand this may be a challenge as he is no longer involved in animal welfare, but I am sure he could manage. He asks “Do they think the remaining methods are more humane?” Most of the non-lethal methods certainly are more humane, but most of the lethal methods certainly are not. From all the methods available everywhere in the world, I am convinced hunting with dogs as it is practiced in the UK is one of the least humane, so the day the hunting bans started was a day the entire nation progressed and became more civilised. "The manifesto pledge to offer a free vote on repeal of the Hunting Act is [an opportunity to examine how this law is working]" rather than an intention to get rid of the ban. Really? Are we to believe that the 2010 manifesto commitment that stated “The Hunting Act has proved unworkable. A Conservative government will give Parliament the opportunity to repeal the Hunting Act on a free vote, with a government bill in government time” is not the same commitment given in the 2017 manifesto? Isn’t this just an “indirect” way to say the same thing? Are we to believe that the proposed vote now includes the strengthening of the Act rather than its repeal? Come on Mr Barrington, people are not stupid. Let’s be honest here – if the Hunting Act it is repealed, weakened or replaced by a “middle way” weaker law, it is unlikely it will help any animals at all. The Hunting Act has helped many animals and it will help many more. In fact, I estimated that as an average every year the Act helps about 4,300 foxes, 5,700 hares, 80 deer, and 500 mink. And what has happened to all these animals? Most, even those the Act did help one day, have still ended up being killed by hunts hunting illegally another day, or by other inhumane methods such as snares or shot by non-proficient shooters. But this is not because the Hunting Act failed, but because the organisations Mr Barrington represents support all these activities and help those who undertake them illegally to avoid justice. They call their obsession for killing animals “wildlife management”. All these forms of killing animals existed before the ban and there is no evidence that they are being used more since the ban. But before the ban hunts did not need to pretend that they were doing anything else other than having fun with a country pursuit. Only now they have to find other politically correct ways to “sell” their bloody pastime. So it is ironic that they want to defend hunting by stating that there are other worse methods of killing wildlife, while they use the same argument to defend such methods when attempts have been made to ban them. Mr Barrington, are you breaking ranks with your employers by saying that snaring and lamping, for instance, should be banned instead of hunting with dogs? Of course not! You are just being contradictory and deceitful! "Hunting is required for wildlife management to keep fox numbers down." Hunting has never been about pest control. It has always been a cruel sport that is practiced for fun and tradition, not to control foxes, hares, otters, mink or deer. The “wildlife management” excuse is only a PR response to the threat of a ban. 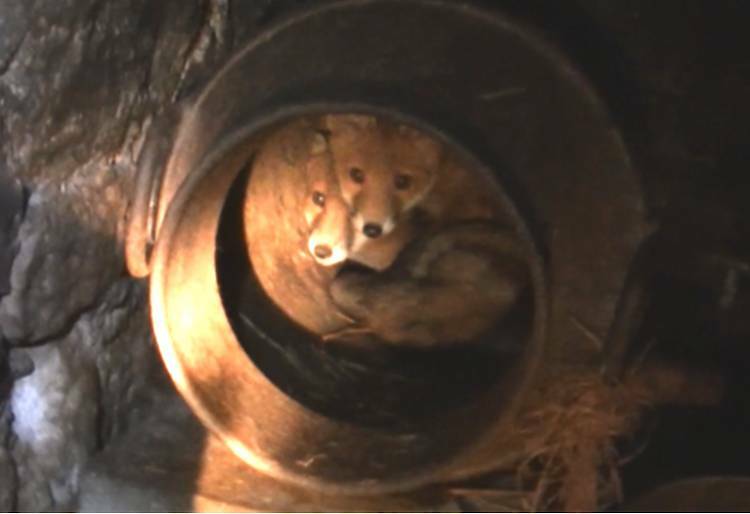 Remember that before and after the ban hunts have been caught on multiple occasions breeding foxes for release, if the area they plan to go hunting doesn’t have many. There is plenty of evidence of the “artificial earths” the hunts use for this purpose, which is irrefutable proof that what they want is to chase foxes, not to control them. Therefore, the people who were killing foxes supposedly to control their population or to deal with problematic individuals have done it in the same way before and after the ban, in the same numbers. The fox population has never been out of control. It mostly self-regulates, so it is kept more or less stable if the space and food availability does not change. It is certainly not growing to justify any calls of “something needing to be done”. If anything, research has shown that in fact the population has decreased slightly in the last few years. You will find it in many of the submissions to the Burns inquiry (Committee of Inquiry into Hunting with Dogs in England and Wales), set up by the government in 2000, precisely to gather data, arguments and evidence for the hunting debate that led to the ban, but also you will find it in any university that has researchers who study any of the animals that are hunted. During the hunting debate one of the strongest scientific research papers available that proved wildlife chased during hunting with hounds suffer, was produced by Professor Patrick Bateson and colleagues. After the ban, Professor Stephen Harris from Bristol University has done lots of research on foxes which shows that the ban was indeed a good idea. “The selective ability of scenting hounds to find the quarry animal and the chase, the natural way of removing the old, weak, diseased and sick animals, fits perfectly into that process [wildlife management]”. This is completely false. Hounds do not go for the weak or old. They just follow the scent of any fox, regardless of its condition, but the ill and old are unlikely to be out during the day (foxes are nocturnal) or bolt out of a den under pressure, so in reality the hounds end up chasing the healthier foxes, which is what the hunt wants as the fun in hunting is in long chases. 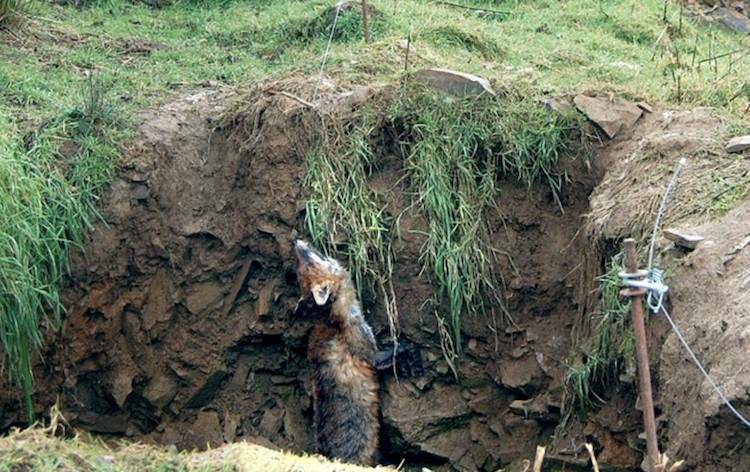 Remember that if a fox goes to ground early in the chase the correct 'hunting procedure' is not to dig it out to be killed, but to bolt it out so the chase can continue. And remember cub hunting (also known as cubbing or “autumm hunting”). This is what hunts do in autumn to train their hounds to kill foxes. They go to areas where they know fox cubs are, they surround them so they cannot escape, and then they send the pack of hounds in to kill them. These are “cubs”, not old foxes. Because this practice makes it more unlikely the cubs can escape, and all hounds are used in cubbing every year (as it is a way to test them), in fact an individual hound in a pack is more likely to have killed more young foxes than old ones. "People know little about dogs, even less about hunting and probably couldn’t care less about the consequences of a hunting ban”. As polls constantly show, most people are opposed to hunting everywhere in the UK, both in rural and urban areas, and very few people answer questions about hunting with an “I don’t know”. This does not support this weak “only-we-know-about-hunting-and-you-lot-know-nothing” argument. I would dare say that never in the history of the UK have more British people had as much knowledge about what happens in hunting with dogs than today. A huge increase in footage of the hunts’ activities have now allowed people to see what hunts actually do, rather than what they claim to do. And one of the things they do is killing animals in a brutal way. It is interesting that Mr Barrington does finally admit that, in hunting, hounds do tear apart a live fox, as this is the brutal image the hunting lobby has often tried to suppress. The Hunting Act did not criminalise the hounds, but those who control them and do not stop them chasing and/or killing wild mammals. The hunters are responsible for the hounds, so if you want hunting to happen, ultimately you want hounds to tear foxes, hares and mink apart. That is the bloody reality the general public already knows about hunting. Of course he is also completely wrong here too. Using dogs as companion animals is something that most anti-hunt groups support, and rescuing dogs from abuse or neglect to be re-homed is a very important part of the animal protection movement. What is inherently cruel is chasing an animal (that does not need to be killed) for a long time before it is killed. Other 'sports' involving the death of animals, such as trophy hunting, shooting etc are focussed on the kill (which is a whole other story). In hunting, the focus is on the long chase and the cruelty is irrespective of how the animal is killed in the end. Then if you add to the animal’s ordeal “death by being ripped apart by dogs”, then it is not surprising how foxhunting has become synonymous with “cruel sport”. Deliberately inflicting suffering for fun is indeed inherently cruel. “The real irony here is that if wild animal welfare has indeed been improved, as we are constantly told, it shouldn’t be beyond the wit of those opposed to hunting to present that evidence to Parliament”. It is certainly not beyond our wit to present evidence to Parliament of how the hunting fraternity has defied Parliaments’ will by sabotaging the Hunting Act and making its enforcement as difficult as possible. When the time comes we will of course produce a great deal evidence to support the strengthening of the legislation in England and Wales, as we have already done in Scotland. But if the law is repealed, that opportunity would be lost to us, which of course is what the pro-hunting lobby wants. So, in fact, Mr Barrington, the “libertarian arguments and the many millions of pounds spent in support of this legislation” that you mention should surely lead the pro-hunting lobby to abandon any call for repeal, and concentrate on improving the current legislation. But that is not what they want. They don’t want to improve the Act, do they? They want to get rid of it, and instead bring in a new law that protects hunters rather than wildlife. We could well call their “middle way” solution the “Hunters Protection Bill”. 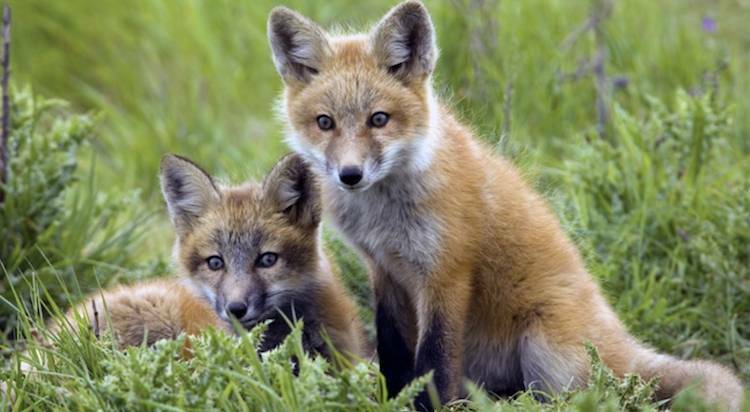 "Because of the Act, foxes are being 'shot out' (made extinct) as they 'can't be hunted'." Firstly, pro-hunting people often reinforce their pro-hunt stand by cavalier statements like this devoid of any evidence. If it is true that there are no longer foxes in certain localities, such as one mentioned by a friend of Mr Barrington, it could be for many reasons, and it is almost certain that if this friend is convinced he or she knows the exact reasons, he or she is wrong. It is likely that illegal hunting disguised as trail hunting may have contributed to it, as trail hunts continue to hunt and kill foxes, and then lie about it. It could be mange too, a disease that has severely affected fox populations. But it could also be irresponsible people with guns, perhaps members of the Countryside Alliance or the British Association of Shooting and Conservation (or perhaps just farmers), shooting anything that moves in the name of “wildlife management”. Most likely, though, is that it is simply a tall tale. Mr Barrington’s statement that “The story is one that mirrors what happened shortly after the Hunting Act was passed, when tens of thousands of hares were shot on former hunting and coursing estates” is another of those tall tales. There is no evidence to support such a statement. But even if there was, that could also be an example of the length pro-hunting people would go to in order to prove their points. Remember, those that hunt, shoot, poison or snare wildlife are basically the same people. People that say that wildlife belongs to them, and they know how to manage it. People that say that they should be left alone to do it how they see fit. People Mr Barrington’s employers represent. Remember what happened with the 2001 foot and mouth disease epidemic? Hunting was banned and research proved that this had no significant effect on the fox population. Most foxes, before and after the ban, were killed by methods other than hunting. "The 'status' of animals formerly hunted had changed to being 'simply a target for gangs of poachers and so the easiest solution was to get rid of it'." This is the most baffling statement from Mr Barrington’s article, and is, frankly, ridiculous. He is implying that those people who (erroneously, by the way) consider foxes, deer or hares as pests, acquired this view after the ban was enacted, not before. He is implying that before the ban, the farmers that allowed a hunt to chase foxes on their land considered foxes as lovely creatures that need to be preserved and not harmed, but the same farmer after the ban considers them now pest and vermin that need to be exterminated, so he would allow shooters in now. Or perhaps he is saying that before the ban poachers would not enter the land of a farmer that allowed the hunt on his or her land, but after the ban they trespassed - even though there was nothing to prevent them from doing so before. Nonsense! "Do anti-hunt organisations like the League Against Cruel Sports 'accept any form of wildlife management'?" The answer is “no” in most cases. Based on the available scientific evidence, we recommend that “no management” is the best solution as species such as foxes self-regulate and in reality they do not really do much damage, so attempts to reduce the population may be futile. If you remove a fox another will replace it very soon, and the new one is most likely to be more problematic as it is likely to be more inexperienced and know the area less (so it will venture more into places “it should not be”). Research has already shown how little foxes contribute to lamb predation, and that it is likely that when a shepherd finds evidence of a fox eating a lamb, this may be because the lamb died from other causes and the fox is just being a scavenger. So, if the damage is so minimal, and removing foxes makes the problem worse, “doing nothing” may be the best course of action. In fact, due to the fact the foxes predate on rabbits which are seen as a serious agricultural problem, we could say that keeping foxes on your land with as little disturbance as possible may be your best “wildlife management” method against so-called pests. If for some reason people feel compelled to do something, there are plenty of non-lethal methods we could advocate, such as exclusion fences, novel objects, shepherding, guardian animals, repellent substances, etc. Many of these methods have proven their effectiveness for hundreds of years, sometimes even millennia. Easily. As you know, all ecosystems, and all of its species, evolve. Life on Earth is very good at “adapting” and “evolving”…as long as you give it a chance to use “natural selection”. Rewilding is giving Nature the chance to manage “wildlife” as it sees fit, adapting it to the current changes and challenges. Hunting is “intervening” and not letting nature find its balance. Let a fox be a fox and find its own place in Nature. Let a hare be a hare and don’t mess with its life. Let Nature manage itself. Because the lynx and the wolf are part of Nature but the man-made pack of hounds is not. Besides, wolves were never predators of foxes. They may have killed some occasionally, but that would be rare. Foxes are predators, not prey, and they have not evolved to be chased for long distances. Before humans arrived, if a wolf chased a fox, the fox would have gone to ground and that would be the end of it. The wolf would not have dug it up. In hunting with hounds, when the fox goes to ground a terrierman is called so he can use a terrier (smaller than a wolf) to enter the fox den and bolt the fox out so the chase can continue. Completely unnatural! And as far as the lynx is concerned, they are ambush hunters; they don’t chase as dogs do. I hope I've covered all the questions raised in Mr Barrington's article. If any MPs or decision makers wish to ask me for more detail, please get in touch. The pro-hunt propaganda has never been weaker, and this will help us to keep the ban.